In this section you will find details of our school’s behaviour policy, which complies with section 89 of the Education and Inspections Act 2006. 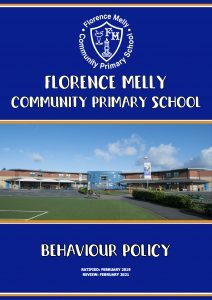 At Florence Melly Community Primary School, we believe that positive behaviour is an essential condition for effective learning and teaching. We also believe that pupils and staff have the right to learn and teach in an environment which is safe, friendly and fair. Our school has defined a very clear set of non-negotiable standards of personal behaviour, which are based on respect for each individual in our community and their individual needs. Positive behaviour must be carefully developed and supported. Appropriate high self-esteem promotes good behaviour, effective learning and positive relationships. Put simply, we believe pupils learn best when they feel safe and happy in school. 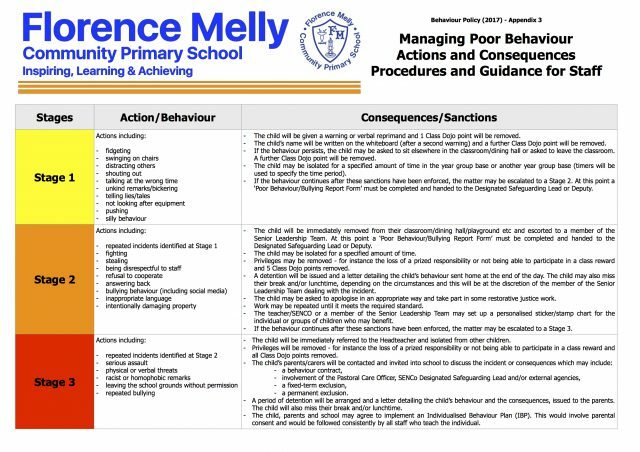 Please see our behaviour policy for further details. 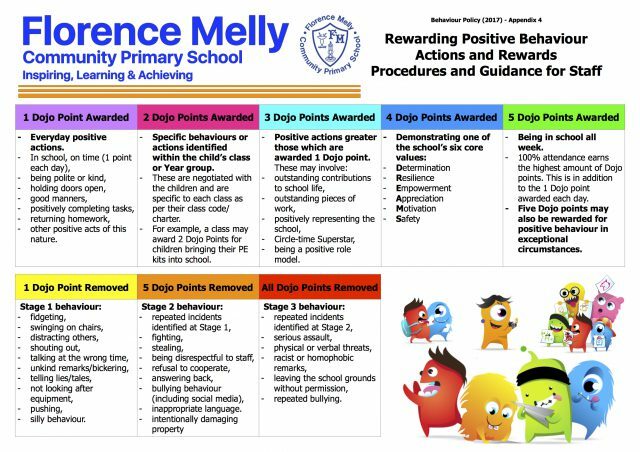 We are currently using the Class Dojo reward system to encourage positive behaviour in school. Children can earn Dojo points by demonstrating positive behaviour such as helping others, working hard, being kind to others and making good progress during lessons. Details of how Dojo points can be earned can be found below. At Florence Melly we believe that children have a right to learn, free from disruption and interruption from others. Our children have a responsibility to behave well in class and be good citizens. For behaviour to be managed effectively it is really important for teachers and parents to work together. 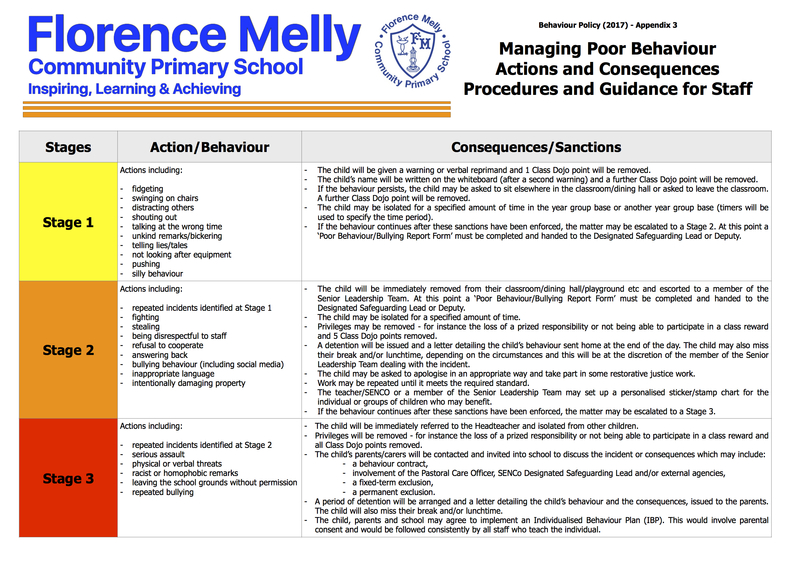 Please find below guidance and the procedures we use to manage incidents of poor behaviour. If you would like further advice or guidance, please contact Mr Leach our Designated Safeguarding Lead.